What makes a great parent or spouse? How can we grow as persons and be better for our family? How to navigate through family life without neglecting our own intimate dreams and ambitions? These are only a few questions from a trove of serious questions to ask ourselves as spouses and parents. While no one can give us a bulletproof strategy for an outstanding family life, personal stories and insights from family lifestyle bloggers can help us navigate through the nitty-gritty and become more appreciative of our everyday reality. 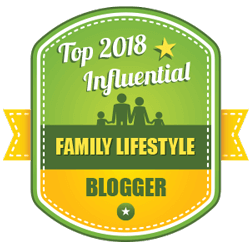 From advice on how to repair your air conditioner to how to keep your marriage happy, and everything in between, our list of Top 2018 Influential Family Lifestyle Bloggers should be your go-to resource of family lifestyle wisdom. 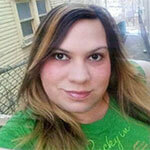 Julie is a full-time working mom to one son and a military wife to her high-school sweetheart. 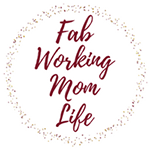 She blogs to create a community where moms can support each other to find balance as they juggle their family life, work life and personal interests and hobbies. Rely on Julie to: Share the most practical, easy-to-follow advice and experience that can make your BUSY life a little easier, so you can reclaim some precious time for yourself. 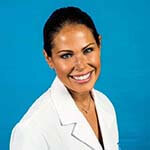 Maria is a work-from-home mom to three step sons, an avid blogger and writer and an advocate for infertility and PCOS. With her Italian background, it’s no wonder she’s passionate about baking, cooking and fashion, as well. Rely on Maria to: Make your homemaking days dynamic and inspired with her blogs on everything moms relate to – from cooking and homemaking to personal health, fitness, travel and technology. Stay tuned! Emily is an incredibly crafty working mom of three and a wife of 15+ years. Her blog gives ample insight into her “crazy, crafty, DIY world” in which kids, crafts, cooking, volunteering and church frequently distract her from keeping her home orderly. Rely on Emily to: Show you step by step how you can make your home closer to your vision without breaking the bank. Her posts are like a mommy charger for positive energy and creativity. 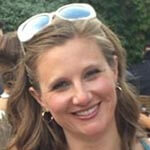 Tracy is a veteran journalist who became a stay-at-home mom and a mega saver. She’s writing for those who want to live a fun and healthy life on a budget. Being a late-bloomer in the stay-at-home world, she is very familiar with the challenges on both sides of working mom life. Rely on Tracy to: Provide you a trove of first-hand, honest experiences and information on all things family related – from running a beautiful home on a strict budget to being a better parent to your kids. 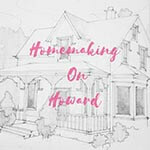 Kemi has been sharing homemaking tips and free printables for amazing 10+ years. She is a mother of one but has mothered many (she’s a former foster parent) and she has been a wife for almost 20 years. Rely on Kemi to: Share the most homemaker-friendly cleaning tips and fantastically detailed homeschool reviews. 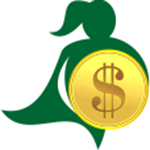 Moola Mom is solely focused on money-saving tips, tricks and techniques for families. Educational and entertaining, this blog gives you family money talks through personal solutions in an entertaining and educational way. Rely on Moola Mom to: Connect the dots between seemingly unrelated things and bring you fresh insights into ways how you can save money to maximize your means – from choosing neutral colors to letting in the light on winter days and much more. Lee is an artist who has been though financial illiteracy and now she’s writing to help others by sharing what’s worked for her, and what didn’t. 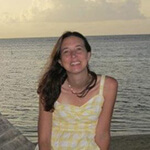 Her blogs are bite-size lessons that are simple and easy to try. Rely on Lee to: Share with you very down-to-earth advice and thoughts on money, including “Five Frugal Things We’ve Done” series of blogs coming out every fortnight. Tauna is an Oregon-based, ex-system analyst, now stay-at-home mom to six children, who writes to encourage others and make their lives a bit easier through personal stories and experiences. Rely on Tauna to: Touch on a wide variety of family and parenting topics, from organizing the household to homeschooling, marriage and faith, as she fights her “uphill battle” on the domestic front. Jaime is a mom of five and a wife. She blogs for money-saving enthusiasts about her family’s journey out of the credit card pit during a #yearofno. Rely on Jaime to: Provide you very resourceful, detailed and ready-to-use tips to save money that you can adapt to your needs. She knows the struggle and will cheer for you! Joy feels that homemaking for their family of 7 is her work of art, requiring time, skill, sacrifice and hard work. But, it’s her biggest passion and one that occupies her day in, day out. Rely on Joy to: Deliver you a variety of stories, tricks and how-to’s on a range of topics – from homeschooling to recipes and crafts – so you can see how it’s possible to squeeze your aspirations in your jam-packed schedule and mind. 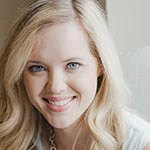 Jillian Benfield is a former news anchor and reporter, who is now a military wife and a mom of three. 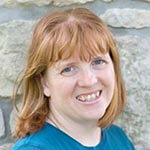 She often writes about her family’s experience with Down syndrome and a rare urinary tract disease. Rely on Jillian to: Share her experiences calmly, honestly and openly in a way that makes you feel more connected and stronger in the face of the many difficulties and beauties of the everyday family life. 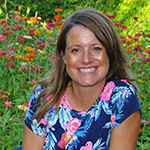 Sallie is a passionate homemaker and DIY-er from Tulsa, OK. She lives with her husband, their puppy and backyard chickens in a 1960’s ranch that they have renovated into their dream home. 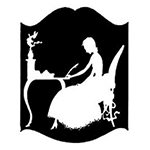 Rely on Sallie to: Take you on a homemaking adventure on the reg. She’s a maker by nature and she shares her knowledge and experiments with detail and love. 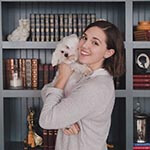 Cassandra blogs about the modern traditional home as a hobby aside from her full-time job and being a wife, a mother and a dog-mom. She likes exploring new things around the home and hopes to inspire her readers to do the same. 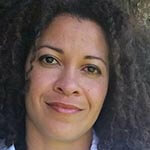 Rely on Cassandra to: Bring you an assortment of food for thought that will invigorate your homemaking routine. Ana is new to the world of homemaking and she shares her newly discovered passion for making a happy and healthy home while running high on caffeine, of course. Rely on Ana to: Share both her wins and fails equally candidly and openly as she’s finding her feet. Beth has founded Role Mommy as an online community that aims to inspire and support modern-day moms through a variety of online content, from TV and movies to essays and book reviews. Rely on Beth to: Make you see how you can help your kids realize their hopes and dreams without giving up on your own. Luminary post: Monday Must Have Tech Gifts That You’ll Want to Keep for Yourself! 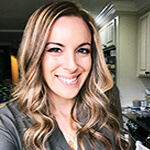 Melissa is a part-time dentist, proud mom of three and a blogger who writes witty insights about parenthood with a much needed dose of humor. 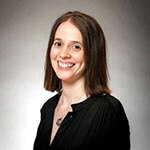 Rely on Melissa to: Remind you that laughter is the vital ingredient for a happy everyday life. Janessa is a mom of four (soon to be a mom of five!) 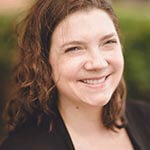 who started blogging back in 2010 so she could provide reliable product reviews and practical tips for moms everywhere. Rely on Janessa to: Teach you how to lead a fun family life full of adventure! Vera is a NYC born-and-bred mom of three enthusiastic about fashion and travel, and absolutely addicted to shoes. 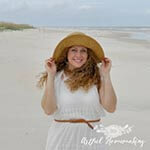 Her blog is a treasury of insights and tips on travel, food, style and everyday life. Rely on Vera to: Give you DAILY advice and updates on a variety of family lifestyle topics, including reviews of products for moms and kids. Scarlet is a talented mom from Nashville who selflessly shares engaging content on home décor, eco-friendly home, food for the family, DIY crafts and family activities, and more! Rely on Scarlet to: Amaze you with the variety of topics she covers, from fertility-boosting food and enhanced online privacy to Keith Urban’s new song and high-performance athletic wear for women made of ocean plastic. 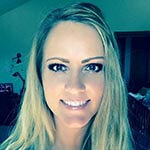 Kim is a stay-at-home mom of three who enjoys her life in a small town but keeps an open mind and up to date with latest developments, which she also covers in her blog posts, from health and beauty to tech and travel. 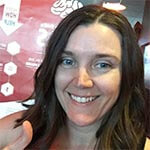 Rely on Kim to: Organize fantastic giveaways each month – there are 10 giveaways in May only! In her own words, Bre is a stubborn DIYer whose blog started out as an online journal of her DIY home projects but morphed into a family lifestyle and mommy blog with the birth of her baby. She’s always working on new projects by day and teaching a dance class by night. Rely on Bre to: Provide “pea-sized” bites of everyday arts and crafts as inspiration and advice for your own DIY home projects. Alison started her blog in 2011, and it has since evolved from a mom blog to a magazine-like lifestyle blog overflowing with insightful posts about family travel, motherhood, style and miscellaneous reflections. 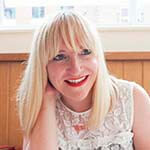 Rely on Alison to: Host a variety of interesting speakers on parenting issues in her wildly popular Not Another Mummy Podcast. 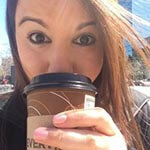 Sonia’s family lifestyle blog documents her journey through the turbulent blogosphere. 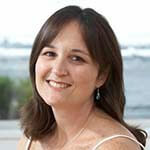 She writes about all things family and documents what her little family gets up to on a weekly basis. Rely on Sonia to: Remind you every day that you are not alone. 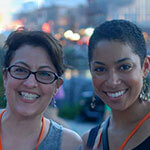 Liz and Chanelle are a mom and daughter blog team from North Carolina. Their blog features a real palette of posts on lifestyle in general, recipes, travel, and fitness, including Chanelle’s free workouts and bodybuilding competition prep diary. Rely on Liz and Chanelle to: Give you tips and insights on anything and everything from not one but two unique perspectives. 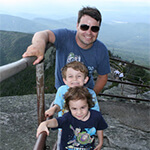 John is a father of two and an enthusiastic fatherhood blogger. He believes there’s no cookie-cutter recipe for being a successful parent, and his blog documents his journey as a loving dad that readers trust and look up to. Rely on John to: Share his personal fatherhood stories candidly to give you ideas and support for navigating through parenthood. Luminary post: What Age is the Best Age?